for $264,900 with 3 bedrooms and 2 full baths, 1 half bath. This 3,071 square foot home was built on a lot size of 2.00 Acre(s). Must see this spacious home with 364' of living space. Space over garage (not included int the Sq. ft.). On 2 acres with a wonderful sun room, swimming pool, office, and workshop. Great home in Strayhorn School District. 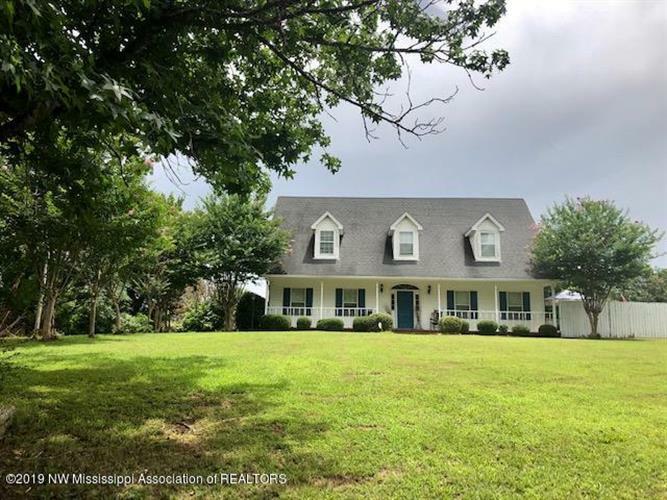 The data relating to real estate for sale on this web site comes in part from the Internet Data Exchange Program of The Northwest Mississippi Association of REALTORS® REALTOR® Services Corporation Multiple Listing Service. Real estate listings held by brokerage firms other than Weichert Realtors are marked with the NWMAR-RSC logo and detailed information about them includes the name of the listing brokerage. © 2019 The Northwest Mississippi Association of REALTORS® REALTOR® Services Corporation Multiple Listing Service, Inc. All rights reserved.